It is the relationship and prioritization between your career and your home and family life, and how well you manage your responsibilities and relationships to achieve harmony. It may be helpful to think of it as work-life integration, because finding enough time in a week to carve out meaningful life experiences and also manage high-priority work can be challenging. When you are out of balance, and one side takes too much energy, the resulting stress can negatively impact your personal relationships. Can I really reach a healthy balance? 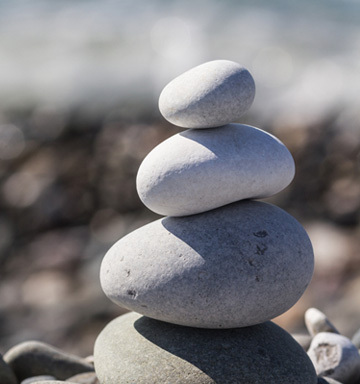 Achieving a healthy work-life balance may seem elusive for many; however, it can be done. Keep in mind that what works for you now will inevitably change over time, as your life and priorities change. Maintaining flexibility and patience is key. Attaining this balance will require that you examine your ideas and assumptions. Learn to exercise discipline and create guidelines that allow you to be more in control of your life. Set realistic expectations for yourself and communicate them to important people in your life. Achieving and maintaining a healthy work-life balance can improve your mental wellbeing, health, and productivity. Determining who and what you value most is paramount. Keep in mind the season of life you are in. For example, being single, married, or married with children can change your work-life landscape. Take for example, if you are raising children. The demands of their respective developmental stages will need to be considered. Where you are in your career also needs to be assessed. An individual embarking on a new career will look very different than someone who is seasoned in their career in regard to time and management. The role, tasks, and productivity may largely vary. Once you determine who and what is important in this season of life, set aside time and goals around these priorities. The right equilibrium is about deciding what is most important to you and committing and focusing on those as your top priorities. Plan for time with your family; this is key. When you have a busy life this makes a difference. If you want to be home in time for dinner, staying organized and planning will make it easier for you to go home at a reasonable time. Leaving time to be inspired is desirable. If you have a commute from the office, put on inspiring podcasts, audio books, or play your favorite music to unwind from the day. Keep in mind the importance of using your time wisely is what counts. Schedule time to complete tasks. Avoid fatigue which impacts your productivity, and interpersonal relationships. Get support when you feel stressed. Examine your ideas and assumptions. Set aside time for exercise or to pursue activities you enjoy. Establish and nurture friendships for a good support system. Keep in mind this simple strategy, “If you want to change the world, start off by making your bed (McRaven, 2014).” It is an easy way to get the feeling of pride and accomplishment. Life can easily leave us feeling overwhelmed if we let it. Taking control of your thought life and keeping perspective can make all the difference in your mental health and wellbeing. Choose to develop a positive attitude. Worry less about things out of your control. Allow yourself to accept what is most important to you, not what others expect of you, or what you have been conditioned to want. Don’t let other people tell you what you should be doing, even if they think they are helping you. Set goals but stay flexible. Think positively about yourself and your achievements. Realize that happiness at home means happiness at work. Learning and integrating these tips can help you make room in your life to be your best self. When you feel your work and life are out of balance and you need some help, contact Dr. Angela Bisignano in Palos Verdes, CA.